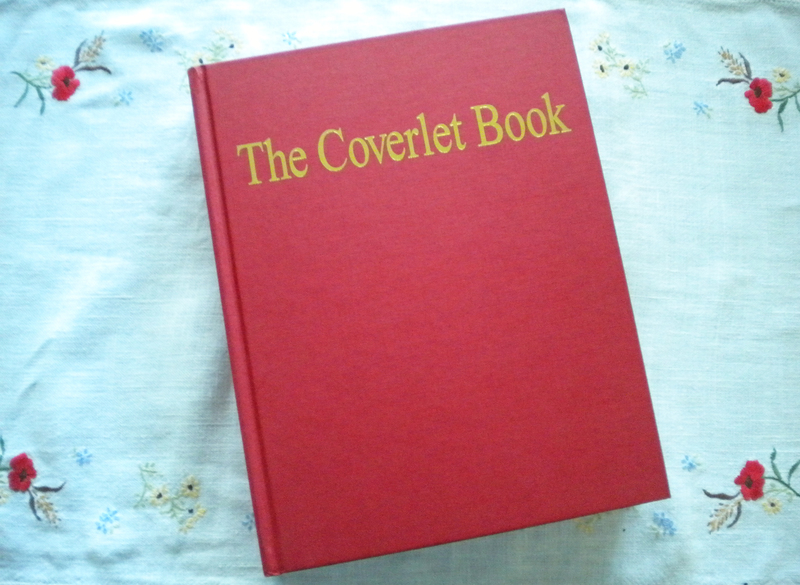 For the last couple months, I’ve been reading The Coverlet Book by Helene Bress (2003, Flower Valley Press, Inc., Gaithersburg, Maryland). What a fascinating study of how our forebears elevated necessary household textiles to works of art! The first volume is on overshot while the second volume covers twill, doubleweave, summer and winter, blended structures, and various other designs. 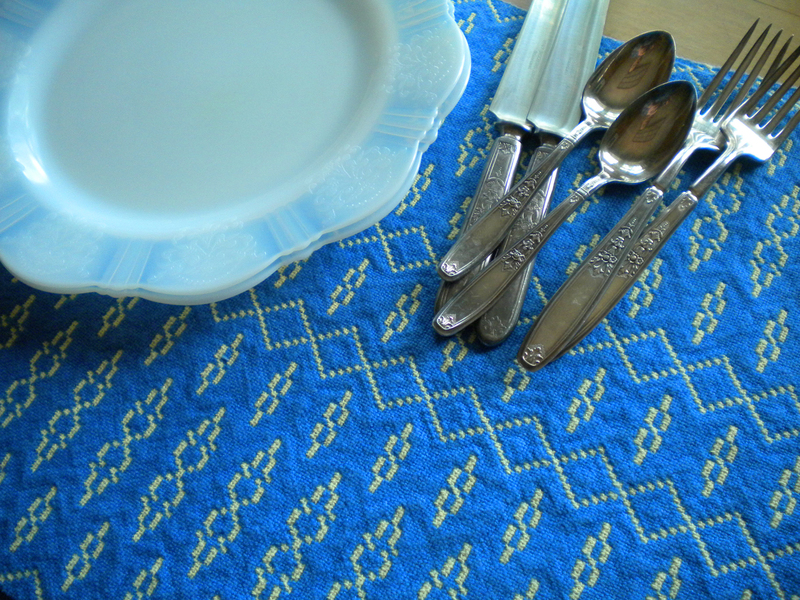 Some coverlets were woven by professional weavers, but many overshot coverlets were woven at home on simple 4-shaft looms with home-dyed wool and homespun cotton or linen. Some of the earliest designs were Monks Belt – two blocks only. From there, the weavers played around with designs and over time, the designs got more and more elaborate. Seeing the block designs in these volumes just confirms my fascination with traditional pattern weaves. What an array of designs can spring from one threading! How exciting to see how a pattern changes when the threading starts at a different point in the draft! My current project has been a snowball and pine tree draft that is fairly common in coverlets. However, instead of weaving the blocks to form those snowballs and trees, I wove the blocks in straight order, one following the other, without combining them. From there the design evolved. This week the third rendition came off the loom. Here the blocks are just treadled in point order—zig zag order if you will. I like this pattern, but it is slower to weave because the blocks change constantly. As I page through The Coverlet Book, I dream about weaving a coverlet. Maybe…someday…who knows! For now I am inspired and will keep exploring! What a wonderful book this sounds like! I need to find a copy–there is so much to learn in weaving! Really interesting review, I have ordered both volumes.